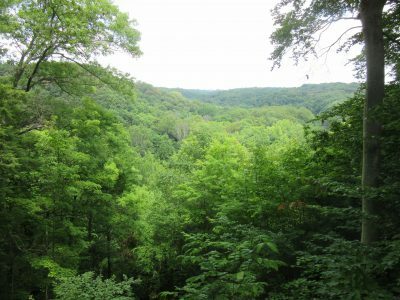 A couple of months ago, Jim and I were watching something on TV – I can’t remember what now – that highlighted one of our newer National Parks, Cuyahoga Valley in Ohio. When we realized how close we would be to the park, it became a “we should go there” thing for us. Tuesday, the three of us wandered up to this long, narrow park on a very mild, comfortable, mostly cloudy day; temps were in the 60s a good portion of the day. We finally found a visitor’s center where, after a short video, an extremely helpful park ranger named James helped us figure out some of the highlights we might want to see during our day’s visit. Armed with information overload and map in my lap and GPS on the dash, Jim and I headed north, or so we thought The plan was to go as far north in the park as we thought we’d have time to go, and then to work our way south stopping at as many of the highlighted attractions as possible. I was having trouble locating the points of interest on the map, but I thought it was just my old eyes and a bumpy ride in the truck – until we saw the sign welcoming us to Akron, the southernmost part of the park. It was then that Jim realized the GPS on the dash indicated we had been driving SE. We turned around and laughed at ourselves as we went the direction originally intended. The farthest north we went was the Canal Exploration Center. After a short walk over the river and to the train station, we had a picnic lunch before a trip into the Center. 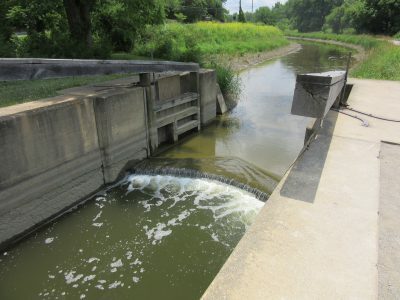 The Erie & Ohio Canal ran all the way to New Philadelphia, and the towpath of this early 1800s transportation system has been converted to a hiking and biking trail that runs the full length of this park. 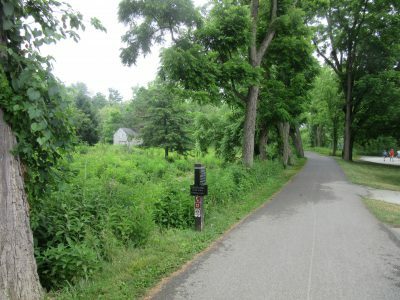 The Towpath Trail is considered the icon of this National Park. 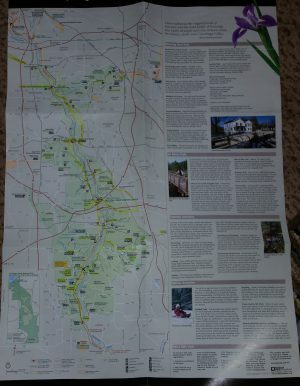 In addition, there are many hiking, biking, and equestrian trails through the park. 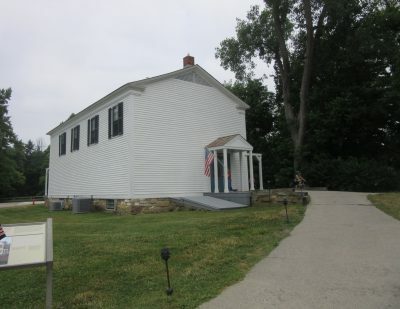 The Canal Exploration Center is a great learning experience for children, and folks of all ages will enjoy seeing how the canal locks worked; there is an operational lock near the Exploration Center. 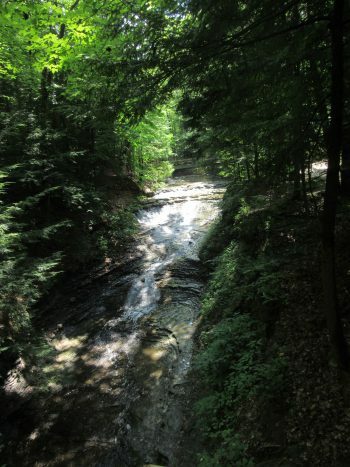 The hills and woodlands of the park are gorgeously green, and scattered along the waterways are some pretty falls. Visiting in July was probably not the best time to see amazing amounts of water flowing over falls. 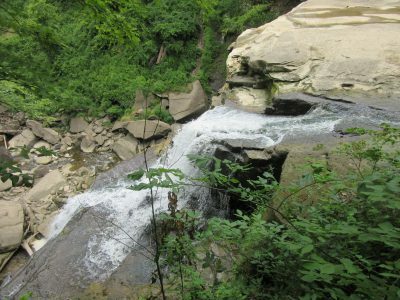 Bridal Veil Falls had little water, and Brandywine, while not up to its advertised splendor, was still very beautiful. We did feel a little underwhelmed by these falls because of our expectations based on pictures we had seen before visiting them. 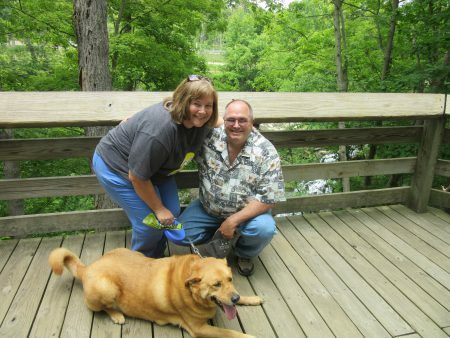 Jim, Chewie, and I enjoyed our hikes to see the falls, canals, gorges, and other things in the park, so it was a great day with some magic memories made.